Thousands of broadcasters around the World rely on BSI every day for their radio automation software, play out and multi-channel logging / skimming solutions. Developed and supported in the United States by a dedicated team of broadcast professionals, our software has helped BSI become one of the leading suppliers of small, medium and multi-station markets with distributors in every continent. Welcome to the new bsiusa.com website! We hope you enjoy the new format. Please let us know if you have any issues accessing a page or run in to any issues. 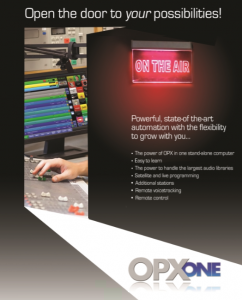 OpX One Radio Automation Now Available! NEW! Now you can use the technology of OpX for a single station on one computer!